Stay ahead of the curve and complement your upscale taste with this eau de toilette from the house of Antonio Banderas. It has top notes of bergamot, lemon, neroil, patchouli, incense, cinnamon, amber and musk which fragrance will give you a calm and soothing feel. 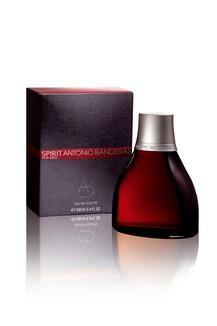 Make a lasting first impression and complement your effortless style with this spirit eau de toilette. Its refreshing fragrance will keep you in a calm and relaxed mood all day long.